McDonald's is easily reached in Arndale Shopping Centre on Market Street, about 0.14 miles north from the centre of Manchester (close to Manchester Cathedral and The Printworks). The restaurant chiefly provides service to patrons from the districts of Strangeways, Collyhurst, Gay Village, Spinningfields, Shambles Square, Manchester City Centre, Salford, Northern Quarter, Deansgate and Hulme. Its hours of operation are from 7:00 am to 9:00 pm today (Monday). Business hours, address description or customer rating for McDonald's Manchester, Arndale Centre can be found on this page. McDonald's is located in an ideal place near the crossroads of Fountain Street, Market Street and High Street, in Manchester, Lancashire, at Arndale Shopping Centre. Merely a 3 minute drive time from Piccadilly, Deansgate and Shudehill; a 4 minute drive from Trinity Way, Cheetham Hill, Oldham Road, Great Ancoats Street and Bury New Road; and a 11 minute drive from Trafford Road or Junction 3 of M602. If you're using GPS systems please enter the postcode M4 3AQ. It is within a short walk from the bus stops at Shudehill/Thomas Street and Shudehill Interchange. Use lines 8, 10, 17, 18, 27, 42, 56, 57, 64, 67, 71, 73, 81, 92, 93, 96, 97, 98, 100, 110, 112, 113, 114, 118, 156, 157, 162, 163, 217, 17A, 81A, X35, Metroshuttle 2 or X43 The Witch Way. You can catch the tram directly to Market Street (570 ft), Shudehill (730 ft) and Exchange Square (910 ft away). Regular services include the lines A, C, E, H, I and G.
The nearest train stops are Manchester Victoria Station (1430 ft) and Manchester Piccadilly Station (3650 ft away). Easily board the CrossCountry, East Midlands Trains, Northern, Transpennine Express, Virgin Trains and Arriva Trains Wales lines. Within a couple miles you may find University of Salford, St Peter's Square, Etihad Stadium, National Football Museum, Central Retail Park, Manchester Central Convention Complex, Corn Exchange, Piccadilly Gardens, Urban Exchange Shopping Mall and Albert Memorial. McDonald's operates 25 locations in Manchester, Lancashire. For more McDonald's go to the following link for an entire directory of locations near Manchester. Over national holidays, working times for McDonald's in Manchester, Arndale Centre may differ from standard times shown above. In the year of 2019 the previously mentioned changes are applicable to Xmas, New Year's, Easter Monday or Bank Holidays. 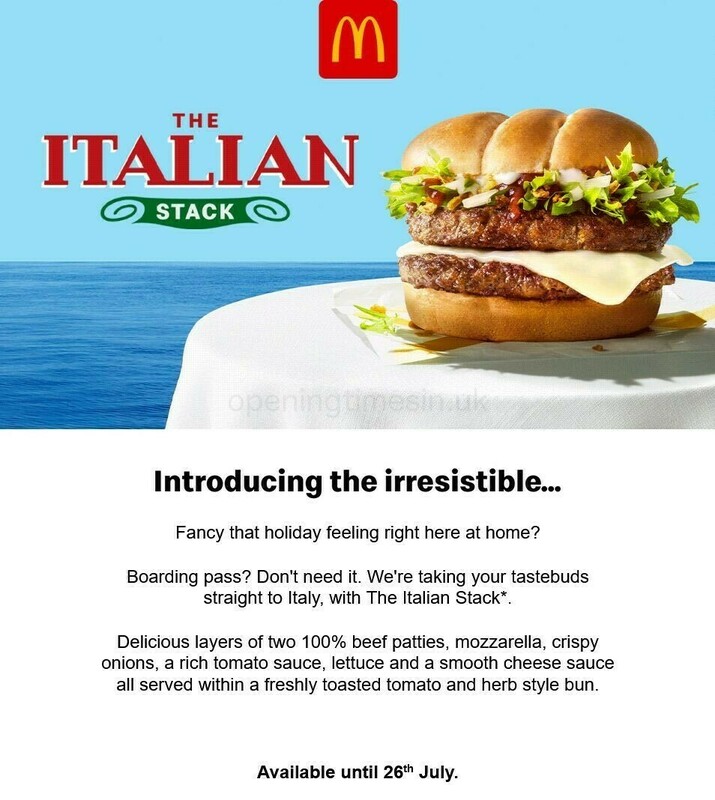 We suggest that you visit the official website or call the contact number at 370 524 4622 to get precise details about McDonald's Manchester, Arndale Centre holiday business times. Throughout your visit to McDonald's, you can also take a look around the wide variety of high quality stores at Arndale Shopping Centre. Here you may also find ALDI, Argos, Marks & Spencer, TK Maxx and UNIQLO. Help us keep the information as current as possible. Please use the report a problem form to report any errors with the address or working hours for McDonald's in Manchester, Arndale Centre. In the form below, please critique McDonald's using your words, or use the star ranking scale.